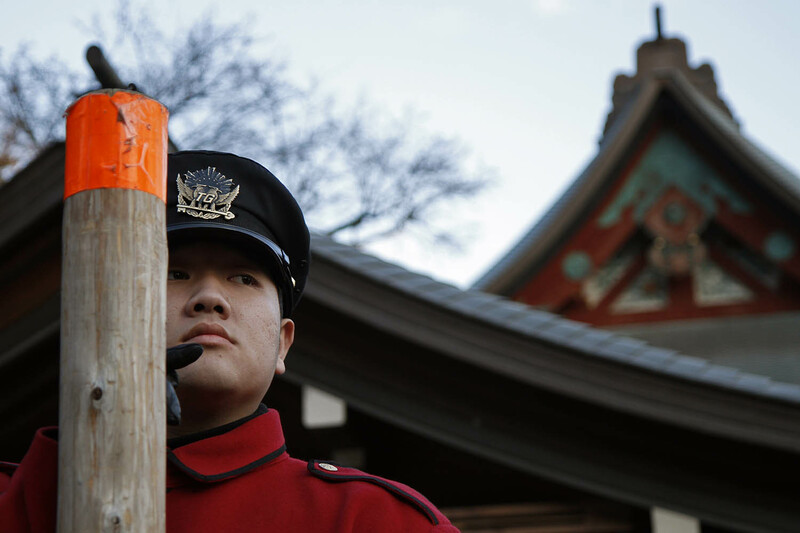 A guard at Tsurugaoka Hachiman-gū shrine in Kamakura watches over the crowds of people gathered to visit the sacred place. It’s traditional to visit a shrine in the beginning of a new year so the crowds can be quite large. This guard was helping to regulate the flow of visitors into the building. Love this! Nice composition and light.